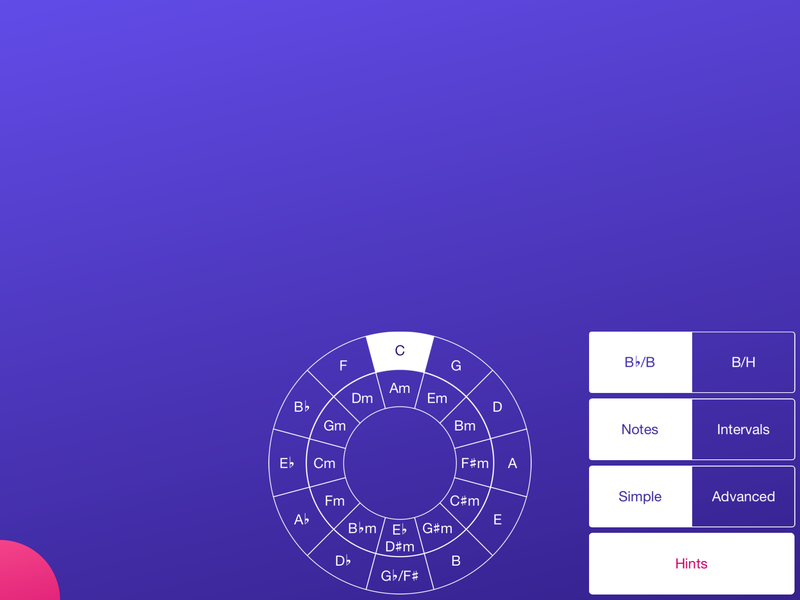 The app is designed for music students, music teachers and composers. Chords and scales are displayed on guitar and piano. The degree of relationships between chords and the scale can be seen intuitively and be listened to immediately. A comprehensive guitar course is included. 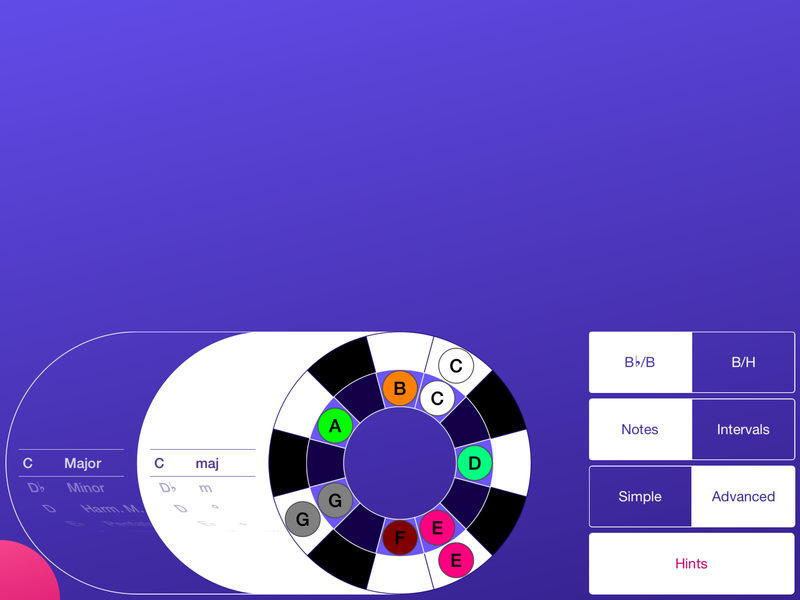 The main screen shows a scale or a chord, e.g. a C major chord. The most common chords can be selected directly. Chord buttons are darker, the more notes a chord has not in common with the scale. By swiping over the fretboard, different fingerings can be selected. 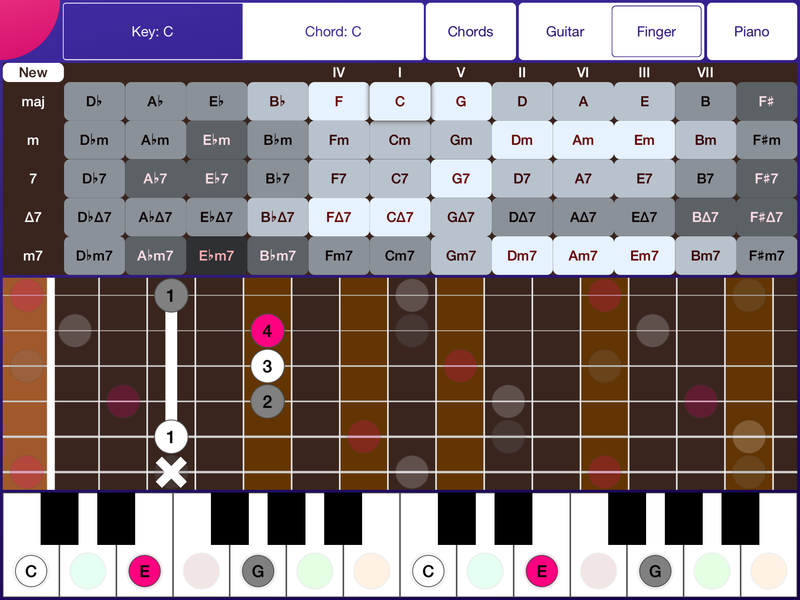 In this mode, the app shows more chords to choose from and more frets on the guitar. 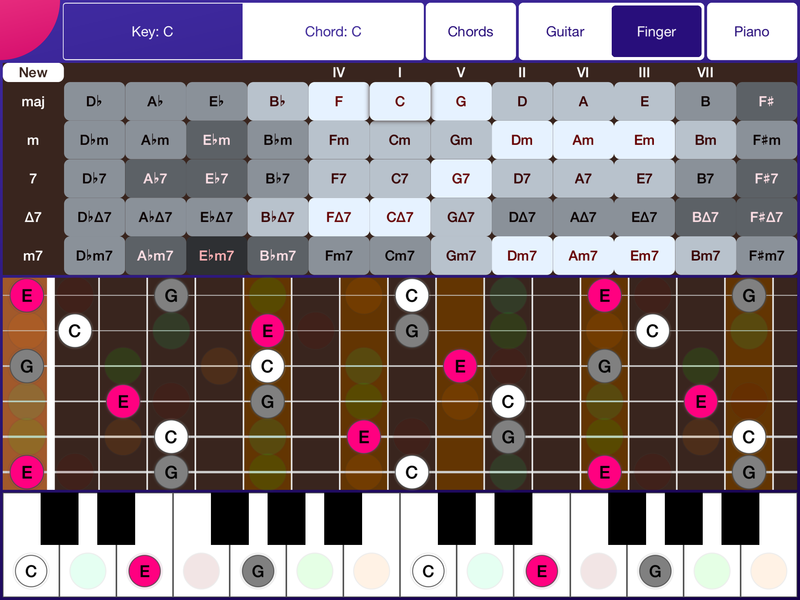 It is always possible to toggle the chords, the guitar and the piano individually. Chords and scales sound superb with the included high fidelity audio samples for guitar and piano. With the “Finger”-button turned off, the guitar shows all notes belonging to one chord. This structure can be moved freely, the chord changes then accordingly. With this unique feature it is possible to really understand the structure of scales and chords as never before! The guitar lessons start with guitar tuning and basic chords. 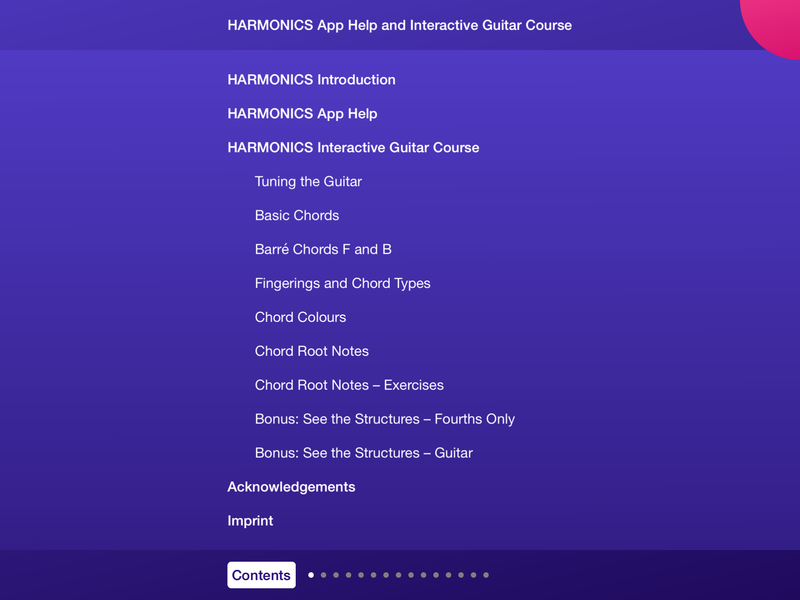 In the advanced part it explains how it is possible to remember any chord on the entire guitar fretboard! The app is available in English and in German. All lessons are fully interactive. Photos can be rotated by 180° which makes it super easy to recognize chords correctly. The key can be set via circle of fifths. 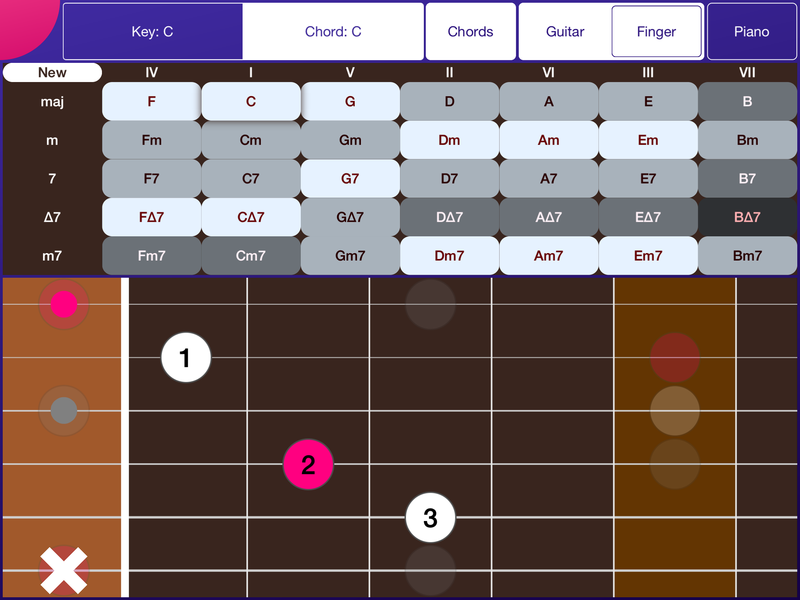 Scales and chords can be selected from a list. 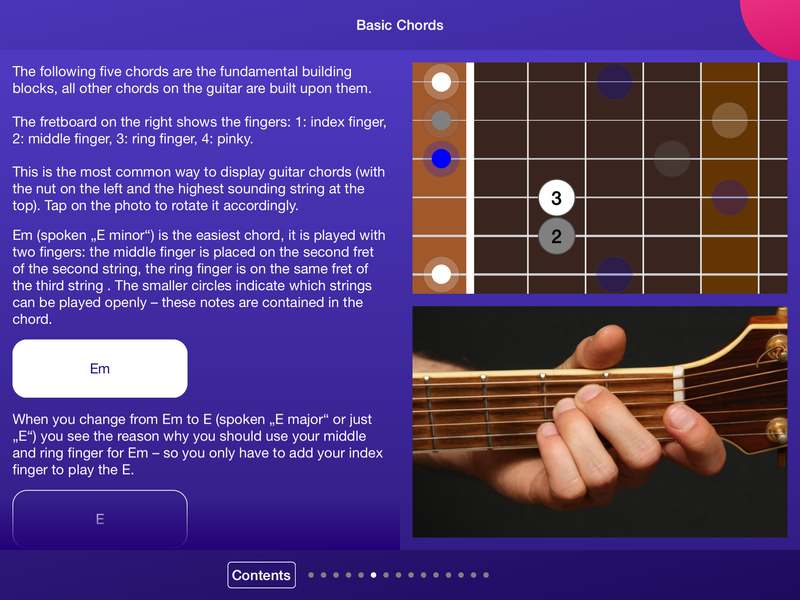 It is even possible to create your own scales and chords note by note, chord names are recognized automatically!